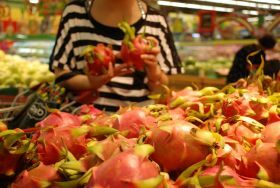 China, which accounts for 81 per cent of Vietnam’s fresh produce export supply, has tightened regulations on fruit traceability and quality, affecting a lower fruit export target for Vietnam in 2019. Despite this, The Saigon Times reported high export growth in recent years for Vietnam, according to the deputy minister of agriculture and rural development, Le Quoc Doanh. Free trade agreements this year will help Vietnamese fruit access new markets, Doanh said, adding the global market has high demand for fruit. Despite this, Vietnam’s projected fruit export increase target has set a modest 0.8 per cent increase to US$3.83bn. Globally, the nation accounts for just 1.4-1.5 per cent of all fruit exports in value but has risen sharply from a base of US$151m in 2003. Tran Van Cong, deputy director of the Department of Farm Produce Processing and Market Development, said Vietnam’s fruits are shipped to 55 markets with 14 of those reporting revenue from exports at more than US$20m, five reporting US$10-20m and 36 at US$1-10m. Changes in revenue could be a reality, not just from China, but from other export markets this year as The Saigon Times said the European Union has set up additional technical barriers on Vietnam’s fruit exports to some of its markets. Several domestic Vietnamese enterprises have reportedly failed to meet the requirements of some buyers, deliberately mixing unqualified supply with eligible fruit, creating risk around market retention. Cong said commitment to agricultural practice standards in the country remains modest.